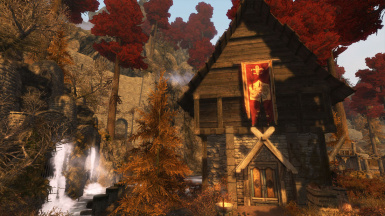 A new home with several wardens to guard the Goldenforst. Skyrim and the CK credit to Bethesda. find a little Myrad tower. The brave Myrads guard with Malphas' gratitude." 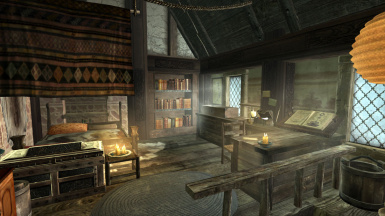 Here my friends is one more player home for Enderal in anticipation of the Forgotten Stories. 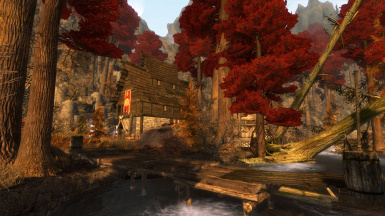 The Goldenforst is a beautiful place, and very dangerous. Some have likened the region as a new 'kingdom of banditry' far away from the Order's patrols and resources. However, a new manor has taken root; that of the Wellwatch Wardens. - A secure player chest, bed and bookshelf in the Attic Room for the player (with accompanying note and sword). 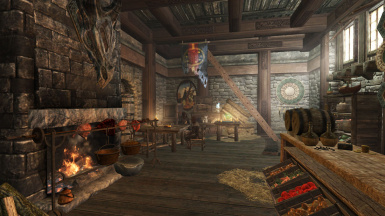 - A large, spacious manor with alchemy and enchanting tables, along with a cooking spit. 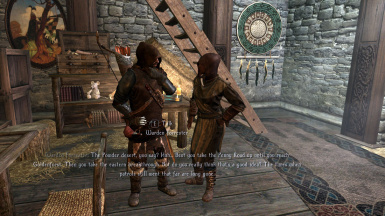 - 2 wardens in the home, 1 of which is a wandering merchant. 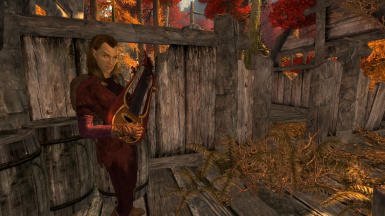 - An Aeterna wandering minstrel, rescued by the Wardens. She doesn't speak much after the event. - The Myrad keeper retains a new outfit. - Navmeshed, with a proper no-respawn encounter zone. 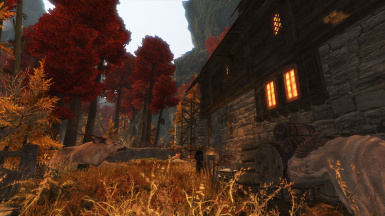 Its position is a remarkable one; standing between the Farmers Coast, the Powder Desert and Thalgaard, the manor rests in this beautiful valley with (relatively high level) adventure all around. 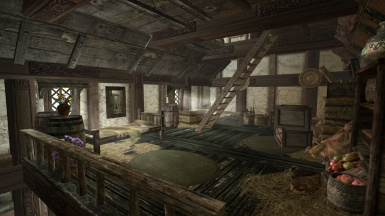 This home is certainly for you if you want a home away from the cities, but still secure enough to feel safe in that wilderness of Enderal. No additional resources next to the Enderal stock, just one .esp for your Data folder.